Essays on the intersection of text and the digital in the Canadian context are invited by the Canadian Writing Research Collaboratory/Collaboratoire scientifique des écrits du Canada (CSÉC/CWRC) for a special issue of Studies in Canadian Literature/Études en littérature canadienne on digital approaches to writing and culture in Canada. •area studies and digital scholarship in Canadian contexts: who is digital and why? The issue will also be published in an open-access digital version that will allow interlinking with digital materials. Submissions should be 6,000-8,000 words in length, including Notes and Works Cited, and should conform to the MLA Handbook, 8th edition. We welcome submissions in English and in French. Conference presentations can be made in French or English. The deadline for the submission of abstracts is April 15, 2016.
link for reservations will be posted on the ACQS website in Spring 2016. How are women engaging with public discussion and debate in Canada? Her Mind aims to take that investigation to the next level. all proposals for individual or collaborative presentations are welcome. Papers on the intersection of text and the digital in the Canadian context are invited for a two-day conference celebrating the launch of the Canadian Writing Research Collaboratory (CWRC) at the University of Alberta. The conference provides an occasion to take stock of digital approaches to writing and culture in Canada, whether they focus on Canadian artifacts or digitally investigate literary and cultural matters from within the Canadian academic context. How have the particulars of Canadian culture, infrastructure, and academic structures impacted digital literary and cultural studies? What kinds of local, regional, organizational, institutional, or national factors have inflected the relationship between culture and technology in Canada? Are our diverse identities, histories, politics, and infrastructures reflected in how we read, write, and research digitally? What have digital approaches contributed to our understanding of Canadian literature, culture, and identity categories? CWRC is an online environment for scholarly research, bringing together Canadian and international researchers who work with online technologies to investigate writing and related cultural practices relevant to the Canadian context. CWRC supports the creating, uploading, sharing, enhancing and curating of research materials by interlinking the contents of individual projects and by supporting team-based collaboration. It brings together bibliographical, biographical, critical, and prosopographical work, scholarly transcription and editing, and multi-media collections, supporting scholars interested in exploring the potential of digital knowledge production to advance their research agendas. area studies and digital scholarship in Canadian contexts: who is digital and why? Please send 250-word proposals in English or French for 20-minute papers along with a 150-word biographical statement by email to cwrc.conference@gmail.com by March 20, 2016. * How does feminism intersect with critical posthumanism in relation to affect? and systemic violence, allow for a reconfiguration of affective boundaries? * How do they problematize multiple boundaries beyond negative critique? affect, and where do they converge? trajectory for the humanities, or the posthumanities, in the twenty-first century. Submit a 250-word PAPER ABSTRACT to affect-sub@millersville.edu by Monday, May 18.
discourses (Nixon 2011; Ahmed 2004; Said 1993). (garcazar@ualberta.ca) by 1 February 2015.
is turning 40!!! Join the celebration! To commemorate this significant milestone (1976-2016), Studies in Canadian Literature is putting together a special issue dedicated to the past 40 years in Canadian literature. Having published its first issue in 1976, Studies in Canadian Literature/Études en littérature canadienne will be celebrating its 40th anniversary in 2016. This special issue will be dedicated to the past forty years in Canadian literary production and scholarship. The period witnessed substantial developments and shifts in the field, from the legitimation of Canadian literature as an academic field of study and the rise of popular non-academic phenomena such as “Canada Reads” and the Giller Prize, to significant literary and critical movements: postmodernism, postcolonialism, feminism, canon debates, new historicism, Indigenous studies, book history, transnationalism, critical race theory, queer studies, diaspora studies, and, more recently, advances in the fields of digital humanities and ecocriticism. Many of these changes resonated in important ways with broader political and cultural events in Canada, such as the official Multiculturalism Act in 1988, the free-trade debates of the late 1980s, the 1990 Oka crisis, the constitutional crisis and ensuing referendum of 1990, the Japanese-Canadian Redress Movement, the “appropriation of voice” debates of the 1990s, the formation of the Territory of Nunavut in 1999, the demise of many Canadian small presses and bookstores, and the Harper government’s cancellation of the “Understanding Canada” program and its adverse effects on Canadian studies internationally. This period saw the publication of many groundbreaking literary texts, the selection of Canadian authors for several prestigious international awards, and the rise of Canadian literature as a popular subject of study internationally, but also the death of many authors and critics associated with the heyday of Canadian literature, including such figures as Margaret Laurence, Gabrielle Roy, Robertson Davies, Mordecai Richler, Timothy Findley, Robert Kroetsch, Barbara Godard, Anne Hébert, Northrop Frye, Carol Shields, Mavis Gallant, Gaston Miron, David French, Rita Joe, Farley Mowat, and Alistair MacLeod. Looking back on the past forty years, how do we assess the changes that have taken place in this period? In what ways have the past forty years been formative (or not) in the development of Canadian literature? In what sense can one trace a series of identifiable shifts and/or interventions? What is the value of a generational analysis of Canadian literature? In what ways has the period been marked by a series of disjunctions? Please send us something and be part of the celebration! The anniversary issue will be inaugurated by a special session at the 2015 Congress dedicated to this topic and an early anniversary birthday cake! Join us at Congress for a piece of cake! Submissions should be 6,000-8,000 words, including Notes and Works Cited, and should conform to the MLA Handbook, 7th edition. Please submit essays electronically via Word attachment to scl@unb.ca . Deadline for submissions is 1 August 2015, with publication scheduled for 2016. We welcome submissions in English and in French. For more information, visit the journal’s website at http://journals.hil.unb.ca/index.php/SCL/ or contact Cynthia Sugars at csugars@uottawa.ca, or Herb Wyile at Herb.Wyile@acadiau.ca. From June 25-27, 2015, the Marburg Centre for Canadian Studies, an interdisciplinary research centre at the University of Marburg, will be hosting its traditional Canadian Studies Day, an international conference that aims at exploring Canada as a theme for teaching at the levels of secondary and tertiary education. We invite contributions on the topic of “Teaching Canada – Enseigner le Canada” from scholars, teachers and students. The conference will explore suitable subjects for teaching on university and high-school levels, best-practice examples and will promote the exchange of ideas for future teaching. Preferred conference languages are English and French. We are delighted to announce that our keynote speakers will be: Professor David Staines (Ottawa) and Prof. Dr. Waldemar Zacharasiewicz (Vienna). Please send 250-word proposals for 30-minute papers and a short biographical note (100 words) to kanada@staff.uni-marburg.de. 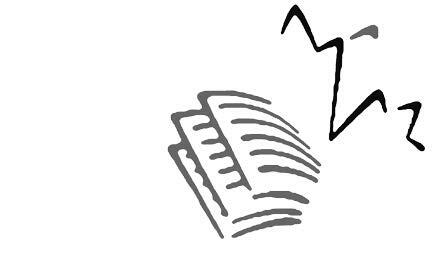 The deadline for submissions is November 30, 2014.
that speak to concerns in Canadian culture and literature and beyond in a comparative context. The CRCL encourage excellence and are blind to the stage of the scholar or his or her identity. Chaire d’études sur le Canada. Pôle de recherche et d’enseignement supérieur (PRES) Limousin-Poitou-Charentes. This one-day bilingual conference focuses on relations between literary storytelling, the biomedical body, the health care system, and citizenship in Canada. Canadian culture enjoys an international image that revolves around hospitality and a liberal conception of the good life (Berlant, 2011; Ahmed, 2010), showcasing a flexible and integrative model of citizenship. Literature, however, as it draws inspiration from the human body and its biomedical management, produces several emergent yet unexplored models that challenge the dominant image of Canadian citizenry. The interdisciplinary field of medical humanities –mostly in the U.S.– has outlined such an approach; one that considers the fluctuating and often-controversial representations of our biological body in society (Charron 2008; Detrez 2002; Lynch 2001; Franck 1997; Korte 1997; Nelson 1997). But in the panorama of Canadian Studies, and especially when it comes to Canadian and Québécois literature, discussions surrounding the literary body remain embryonic. Literary stories involving the biological/biomedical body are strikingly different from the traditional bildungsroman-type narrative structure (Gotschall 2013; Brennan 2004; Damasio 2003). This distinction entails a number of significant yet unexplored consequences regarding the development of narrative arts and community belonging across Canada. 1) The relative sobriety and calculations required by health regimens, by the physical and mental declines of old age, by the “accidents” that radically alter one’s identity (Malabou 2009), or by the unequal rhythms and lifespan of organs along with the possibility of their transplant, quickly prove to be incompatible with the subjective flourishing of the good life that dominates our images of citizenship. Given the public nature of Canada’s health care system, those circumstances instead become the objects of the social management of health, the impacts and implications of which we hardly understand when it comes to the construction, the transmission, and the perpetuation of individual and family narratives. 2) The rapid mutation of the very fabric of communities resulting from immigration and the integration within Canada’s middle-class of individuals and families hailing from very different cultures creates untold and fascinating cohabitations of heterogeneous conceptions of health alongside the biological body. Rhythms of treatment vary; beliefs sometimes clash with medical science; illness itself will eventually possess a varying status depending on who defines it, who experiences it, and who treats it. Thus, if Canadian citizenship is bestowed on the individual by decree, we are unable to say the same about the individual’s health. But health conditions nevertheless shape, just as much, if not moreso, the idea that one develops of one’s self and of one’s belonging. How do literary narratives – those of immigration, or migrance in Quebec, as well as those of a more national perspective, integrate such crucial conditions of contemporary life? Ultimately, what are the implications therein for literature itself? Writers working in both official languages in Canada offer original approaches to those questions. Lawrence Hill, for example, published his 2013 Massey Lectures (Blood: The Stuff of Life) on blood as conceived as a transcultural theme, without losing sight of its medical and scientific permutation according to various cultures in Canada. Toronto writer Vincent Lam’s Giller prize-winning book Bloodletting and Miraculous Cures (2005) draws largely from Lam’s experience as a physician in the emergency ward. On the francophone side we can cite Gil Courtemanche, whose novel Une belle mort (2005) combines themes of loneliness, ageing, and the experience of cancer. And the novels of Nelly Arcan, whose narrators are all preoccupied with the fate of the physical body and its intersection with the less-visible internal struggle and the scars caused by mental illness. – Cultural cohabitations; interculturalism; transculturalism. – Écritures migrantes and health. – Life-writing; autobiography; auto-fiction and illness. – The self, the body, and mental illness. – Urban life and health. – Sexuality and gender studies. – Representations of the medical practice. – Dystopia; utopia; futuristic stories. – Theories of the subject. – Philosophy and ethics of care. – Comparisons Quebec / Anglo-Canada / Franco-Canada. Send your propositions (300 words max. 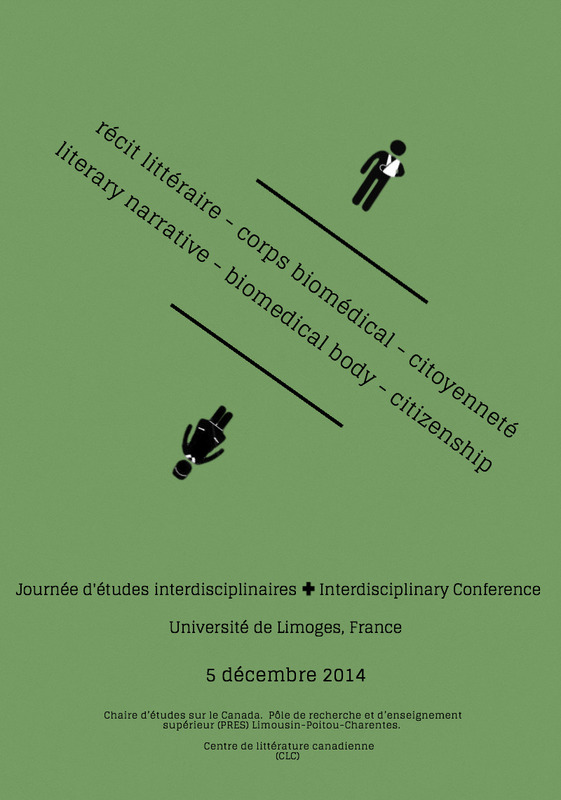 ), in English or French, to colloquelimoges@gmail.com by 01 August, 2014. The organizing committee will communicate its decision by mid-August 2014. Click Colloque Limoges for more information. Identity, belonging and citizenship within the nation state are established, contested and legitimized within sites and institutions of public culture, heritage and representation. In Canada, people from diverse cultural backgrounds seek to engage with cultural, historical and social knowledge in these spaces. While public museums have been primary sites of engagement, some people have sought to create alternative opportunities and institutional spaces to express and represent the complexities of their histories, identities, communities and places in both Canadian and global society. We are seeking papers that explore the roles that all types of public spaces play in the expression or contestation of different histories, different identities, and different forms of community, national and transnational citizenship. Please submit either (a) 250 word abstracts for individual papers, or (b) proposals for panels including 3 papers by August 31, 2011 to diversespaces@gmail.com. Accepted papers and panels will be announced by the end of January, 2012. The conference is organized by Julia Harrison, Director, and Susan Ashley, SSHRC Postdoctoral Fellow in the Frost Centre for Canadian Studies and Indigenous Studies, Trent University, Peterborough, Canada. This conference offers participants the opportunity to present creative or critical papers and to engage in intellectual exchanges with other teachers and writers; to discuss, debate and explore topics and findings in creative writing research; to discuss the teaching and learning of creative writing in universities, colleges and communities, and to contribute knowledge to a field of investigative inquiry that includes research, pedagogy, and artistic practice. The Conference Committee invites proposals for papers and panels of theoretical, creative, and critical papers on the conference topic. The committee invites dynamic and innovative approaches to presentations and welcomes presentations that employ critical and creative strategies and forms. Multi-media and collaborative presentations are also encouraged. Papers should be approx 20 minutes in length. Panel proposals of three presenters may address a common theme. Please submit an abstract of 300 words for a 20 minute presentation. Individual presenters should include a brief biographical note of 150 words, as well as full contact information. Proposals should include a sample of work (10 poems; literary non-fiction and fiction 10-12 pages; plays 10-12 pages, or hybrid forms 10-12 pages). Creative panels with three readers may also be proposed. Submit a 300-word abstract, 150-word bio and full contact information. Chairs should convene a panel and submit the proposal to the Conference Committee. Chairs should provide complete information on each presenter’s paper, an overall focus for the panel, 300-word abstracts, biographical notes for each presenter, and contact information. Abstracts and proposals should be sent electronically in Word-formatted attachments to the CFP at: callforpapers@ccwwp.ca no later than September 30, 2011. For more information, go to http://ccwwp.ca. Where is Québec in Canadian Studies? Presentations may be given in English or French. An interpreter will be present to facilitate discussions. Papers must be submitted by April 30, 2012, so that discussants have time to prepare comments. Conference participants will be encouraged to submit revised drafts for peer review by August 15, 2012 (publication details to follow). When she moved to Paris in 1950, Mavis Gallant followed a route familiar to generations of modernist authors and artists from Canada and around the world. Many of these expatriates returned home and brought with them their impressions of the circles and salons, magazines and publishing houses, bookshops and galleries, stages and ateliers of Paris that facilitated the formation of modernism across the arts and around the globe. Conversely, they imported knowledge of cultural and aesthetic practices &emd; whether from North and South America, the Caribbean, Africa, the South Pacific, or the Pacific Rim &emd; that in turn revolutionized modernism across Europe. Among Canada’s other modernists who gravitated to Paris in the first half of the twentieth century were writers such as Marius Barbeau, Morley Callaghan, Marcel Dugas, John Glassco, Alain Grandbois, Anne Hébert, Dorothy Livesay, Jean-Aubert Loranger, Gaston Miron, Thérèse Renaud, Mordecai Richler, and Sheila Watson and artists such as Paul-Émile Borduas, Emily Carr, A.Y. Jackson, Fernand Leduc, Alfred Pellan, and Jean-Paul Riopelle. These expatriates gathered with others from around the world in what David Burke has designated as the West’s intellectual capital of the early twentieth century, a global community that contributed to modernism’s articulation across an array of cultural and artistic movements: art nouveau, cubism, Dada, existentialism, Fauvism, magic realism, negritude, pataphysics, psychoanalysis, surrealism, theatres of the absurd and cruelty, and so on. A century after the earliest of their transatlantic crossings, we return to commemorate the local, national, international, transnational, and global histories of modernism. In recognition of Paris’s modernist legacies and their links to modernists from North America and elsewhere, this colloquium seeks to bring together scholars whose work investigates and participates in intercultural and transcultural exchanges, interlingual and multilingual translations, intermedial and interdisciplinary cross-fertilizations, as well as international and transnational collaborations. We welcome scholarship that addresses any of the multiple and intersecting modes of modernist cultural production in literature, theatre, the visual arts, and the performance arts. Staged in one of the historic cities of modernism and in what geographer David Harvey calls one of the capitals of modernity, which facilitated the convergence of global communities, this colloquium also invites the participation of scholars whose work builds and circulates through global networks and digital technologies. We encourage presentations that address issues relevant to the global and digital turns of modernist studies in the twenty-first century, including the transformations of modernist media, the remediation of modernism in new media, the representation and interpretation of modernist aesthetics in innovative reading environments, and the implementation of web-based tools to represent the material conditions and geographic locations of modernism’s production. We welcome proposals for panel presentations. Panels will feature the standard sequence of 3 or 4 speakers delivering 15-20 minute talks followed by a question period and discussion. We also welcome proposals of roundtable sessions, which may consist of 5 or 6 speakers gathered around issues or topics of common concern in order to generate discussion among the participants and with the audience. Roundtable organizers should ask participants to deliver short position statements in response to material distributed in advance by the session organizer, and they should take turns responding to the moderator’s and audience’s questions and comments. Selected papers by conference participants will be collected in a planned volume of conference proceedings. A limited number of subventions for EMiC participants (co-applicants, collaborators, postdocs, and graduate fellows) will be available to defray travel and accommodation expenses. See the colloquium page on the project website for more details: editingmodernism.ca/events/nouvelle-sorbonne. Please submit 500-word proposal, 100-word abstract, and 50-word biographical statement via email to: emic@dal.ca by 1 September, 2011. For more information about the EMiC project, please visit our website at editingmodernism.ca or contact us at emic@dal.ca. The LMMI invites proposals for papers that will consider these issues in relation to Montgomery’s fiction, poetry, life writing, photographs, and scrapbooks, and the range of adaptations and spinoffs in the areas of film, television, theatre, tourism, and online communities. Proposals for workshops, exhibits, films, and performances are also welcomed. Proposals should clearly articulate the proposed paper’s argument and demonstrate familiarity with current scholarship in the field (please see lmmresearch.org/bibliography for an updated bibliography). For more information, please contact the program chair, Dr. Benjamin Lefebvre, at: ben@roomofbensown.net. Submit a proposal of 200-250 words, a biographical statement of 70 words, and a list of A/V requirements by 15 August 2011 using the online form at the L.M. Montgomery Institute website, at: www.lmmontgomery.ca. Since all proposals are vetted blind, they should include no identifying information. The key question about inclusion within the context of immigration continues to be asked and to be problematized the world over in writings, symposiums, and forums, including of course in everyday practice, whether at the employment level or within learning establishments, to name but those two areas. Knowledge sharing between theoreticians and practitioners in the field does not always occur because too often they evolve within their own spheres: differing objectives and a language specific to each sets them apart. This, in short, is the challenge posed by the symposium, which looks to extend the paradigm to the actual event by integrating into its own format a meta component — a continuous reflection on the dialogical relationship among participants, thereby allowing an immediate response to the ideas and actions proposed thereat. Needless to say, the symposium requires that participating theoreticians include a practical application in their proposals. The Modern Languages and Cultural Studies Graduate Student Council presents an interdisciplinary conference addressing the concept of (dis)comfort in a broad sense, and looks at the meaning and interaction of human and non-human agency in the changing circumstances of everyday life. Keynote address: 9:20 am, by English and Film Studies Writer-in-Residence, Richard van Camp. The Canadian Literature Centre is pleased to be a supporter of this address. 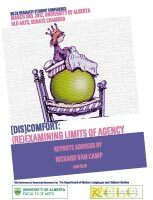 Topics of the conference include: agency of the body, embodiment and disembodiment of power, agent-object relationship, comfort and the question of ownership, construct of “home” and its experience, motherland and motherlands, dwelling in places and things, (dis)abilities of (dis)comfort, limits of agency in second language acquisition, dealing with discomfort in the classroom, and expressing discomfort in media. Papers, panel discussions and roundtable discussions will be given by graduate students and recent alumni from all disciplines studying languages, literature, culture, society and translation, with selected papers possibly published in the MLCS Graduate Student Journal Multilingual Discourses. Presentations will be 15 minutes in length and will be followed by a short discussion period. Panel discussions and round tables will run for 60 minutes. For more information, please contact the organizers, at: mlcs.grad.council@gmail.com. illustrate the emergence of new forms of technological infrastructure and media. The Canadian Writing Research Collaboratory (CWRC, pronounced “quirk”) is developing a digital platform for new collaborations in humanities research. Supporting team-based scholarship, digitization, and editing, and embedding its material in political, commercial, and cultural contexts, CWRC brings digital arts into dialogue with other artistic practices in the contemporary landscape of imaginative and creative work and critical research. CWRC has secured substantial funding from both the Canada Foundation for Innovation (CFI) and provincial funding bodies. an interactive forum/salon for the circulation of discussion, new digital material, and readers’ and writers’ communities. This gathering will be the second of up to three conferences planned around CWRC’s flagship project. This venture with multilingual, multi-genre, and multi-media content is anchored in the premise that digital and electronic instruments are key to enabling and producing new meanings in embodied, experiential, participatory ways. In coordinated collaboration with related major projects partnered with CWRC (the Canadian Literature Centre; Editing Modernism in Canada; TransCanada Institute; canadiana.org, among others), this Canadian Women Writers initiative aims to bring into alignment established and emergent histories, to integrate divergent perspectives on history, and to engage users as producers in a variety of textual, visual, and audio formats. The conference will bring together scholars, writers, booksellers, librarians, publishers, and software designers, along with invited keynote speakers, to catalyze discussion – particularly on women’s writing in Canada, literary history, historiography, collaborative methods, and digital and feminist scholarship – through papers, panels, readings, and online demonstrations. For more information, please visit the conference website, at cwrc2.blog.ryerson.ca, or email: panofsky@ryerson.ca.